Parking lots are already-disturbed landscapes that are ideal for producing electricity in concert with their primary use. The canopies provide shade as well as rain and snow protection. 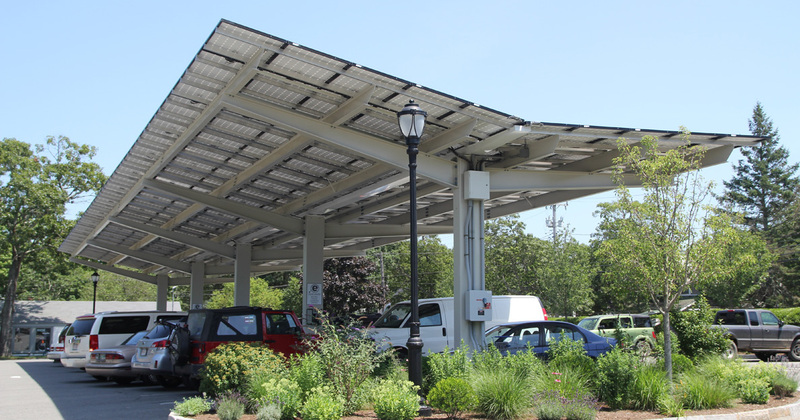 This multi-faceted project includes electric vehicle charging stations that Cronig’s customers may use at no charge while shopping, which encourages the use of electric and hybrid vehicles on Martha’s Vineyard.